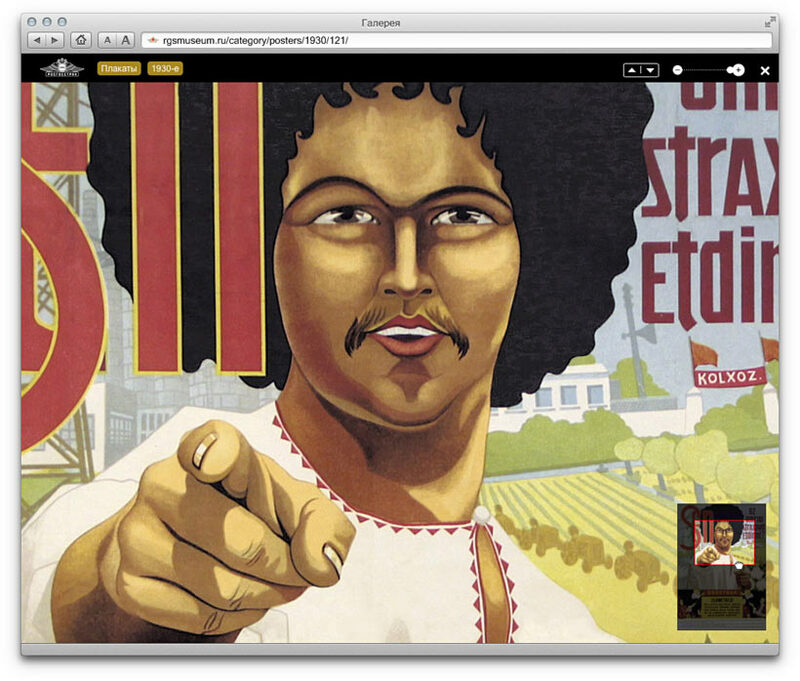 Task: to put together a collection of advertising materials of a century-old company. Russian State Insurance Company (Rosgosstrakh) was founded in 1921. Today its archives contain thousands of posters, leaflets, policies, newspaper clippings, labels, booklets, pins, calendars and other examples of graphic compositions and logos. 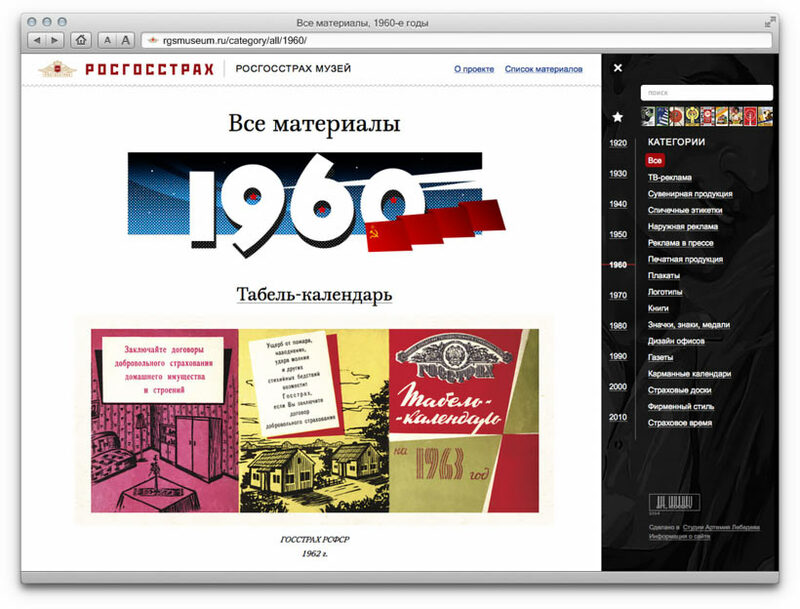 In order to introduce the audience to the works of artists and designers who at various times worked with Rosgosstrakh, a museum website was created at the studio. Website navigation is hidden in the drop-down menu available on every page. 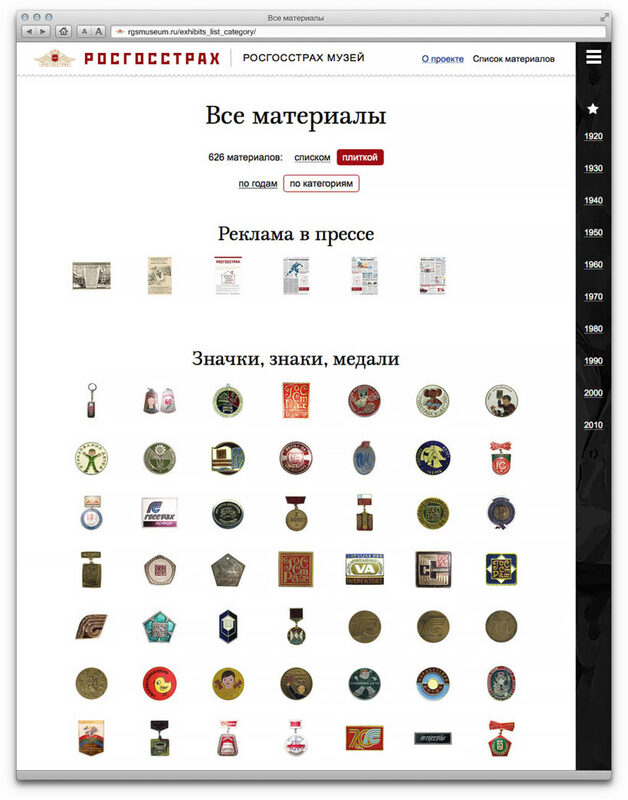 A special interface was developed to make viewing the materials fast and easy. All images on the website are in the highest resolution. Buttons are used to switch between images. The All Materials page provides an overview of the entire collection.